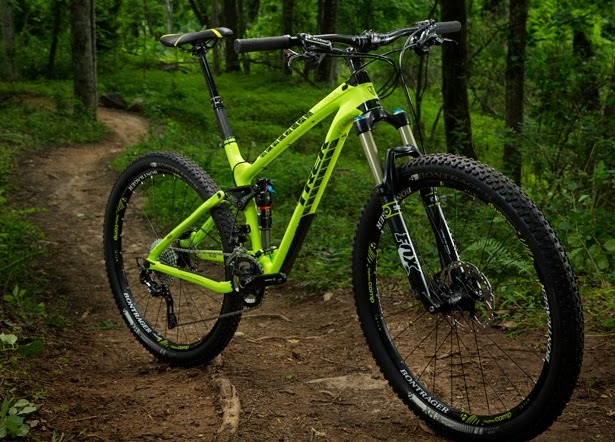 The Remedy 29 gets a makeover for next year with the addition of carbon-frame offerings. Most of the bike remains unchanged, with geometry and spec carrying over from the current models. The biggest change is at the tail of the bike, with the introduction of Boost 148. Trek increased stiffness laterally in the wheels by partnering with SRAM to offer a hub that is 6mm wider at the axle ends and pushes the hub flanges out by 3mm each. 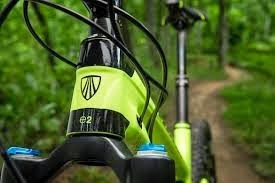 Trek claims this will create better triangulation and even out spoke tension, and that the 29-inch wheels will ride closer in stiffness to their smaller counterparts. 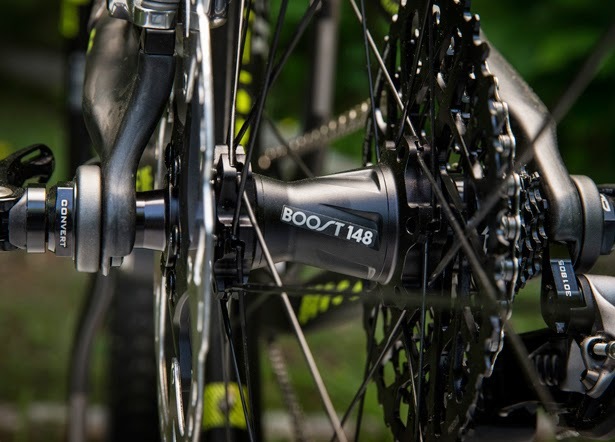 The Boost 148 design adds clearance to the frame for tires as large as 2.3 inches, while also keeping chainstays short and chainline in check for proper shifting performance. For riders using a single-ring drivetrain—the system will work with a double setup too—SRAM developed a spider that keeps the centerline of the ring in proper alignment with the cassette so shifting performance is unaffected. 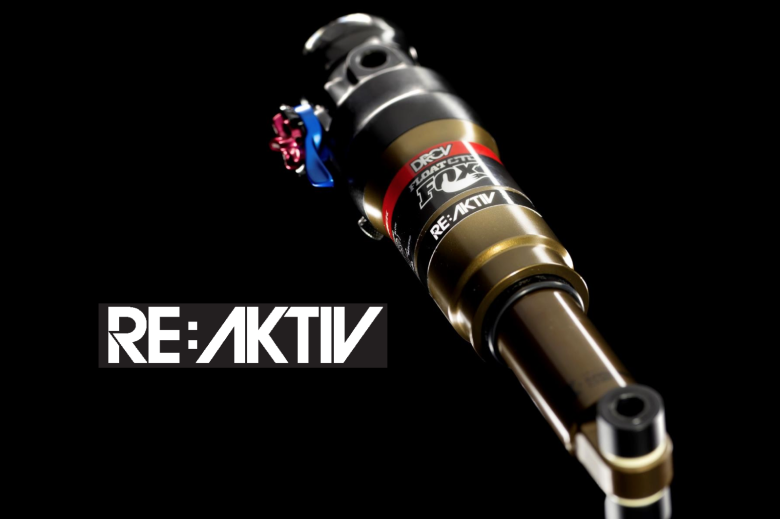 Trek and SRAM designated the system as “open source,” so the design is available to any manufacturer. Stop in to any of our great locations today! We'd love to help you with any and all of your cycling needs! Soft Tail Bikes - These are bikes with negligible rear suspension. 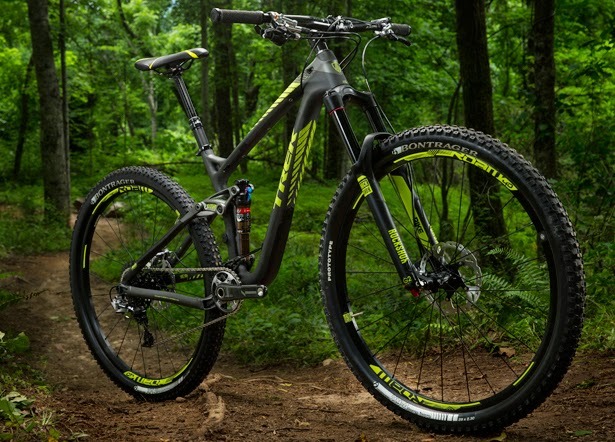 These bikes are made active by the flex of the frames rather than the pivots. Many technology vendors and service providers consistently make common mistakes that can expose them to unnecessary liability, and cost them revenue. This article can help your comliant company address and resolve these mistakes and increase your success. Lots of debates have arisen over the years and they have centered on the impact of technology on the society. Some movements totally condemn the concept with overwhelming evidence and conviction. Different scholars and philosophers read different meanings into it and extend its definition to cover a broad range of usage. This has made science, technology and engineering overlap in their meanings and applications. The history of technology also makes for interesting reading as it dates back to 10,000 BC. It has evolved from the usage of basic tools to the development of all the crucial sectors in the life of man. Medicine, agriculture, manufacturing, transportation, communication and Spend Management Software, to mention a few, have benefited immensely from this mind-boggling concept. The view on technology cannot be uniform. It always differs from scholar to scholar and from individual to individual. Where uniformity lies however, is in the fact that technology has come down a long, winding way, and that it is here to stay. Schools demand ubiquitous computing. 508 costs must be integrated in general school budgets. All budgets, despite project or department, must be completely reviewed to see how technology can support and make the end product more successful.